When it comes to massive nights, Liverpool is a stag do paradise. Whether you hit the Albert Docks for drinks with a view, or head to the former Beatles haunt, Mathew Street – you’ll never walk alone on a night in Liverpool. The recently renovated Albert Dock area is an ideal place to start any stag night out. Alive with restaurants and bars during the early evenings, you can spend a sunny day, catching the rays in one of the outdoor terraces, overlooking the Docks. One of the best places to do just that is The Pumphouse, Liverpool’s traditional, waterside pub-come-restaurant. The former Victorian pumphouse is situated within the heart of the historic waterfront, and its terrace is the perfect spot for a pint or two. 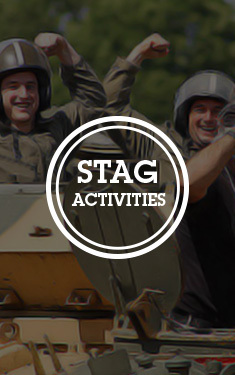 If you love your rums, ay rumba, have we got the perfect stag do spot for you? Revolucion de Cuba is a two floor rum bar and cantina, with plenty of outdoor seating where you can top up those tans, among lots of like-minded people just Havana good time. If you arr after something a big different, get yourselves ovarr to Smuggler’s Cove, Albert Dock’s pirate themed bar and restaurant. With dimly-lit, boat-like interiors, weathered wallpaper and boat themed paraphernalia – you’ll feel like you’ve just stepped on board the Jolly Roger. 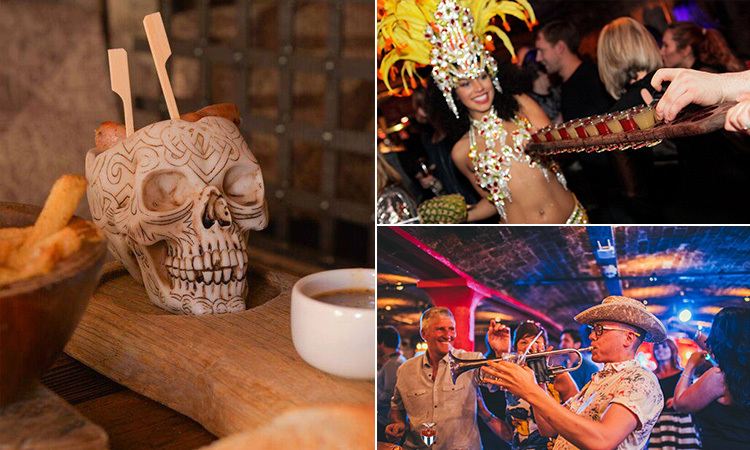 Holding a Guinness World Record with its 150-strong rum collection and epic live music with sing-a-longs, this one is definitely a top spot to splash those pieces of eight. Ooh arr. There’s also a high-end Revolution, amidst the bright lights of the Albert Docks, boasting everything you’d expect from the vodka-soaked chain. The sky booths are a fantastic place to neck your potent vodka trains and chase them down with pints of discounted beer, against a backdrop of the sun drenched docklands. Recently renovated, this well-trodden path (part of Liverpool’s Georgian Quarter) is one of the main entrances to the city, and is therefore paved with restaurants, pubs and bars. Whether you’re a connoisseur of the hard stuff, or just like a good drink with your mates, Fly in the Loaf is the hipster haunt everyone’s talking about. Boasting 16 different beers on draught, including Estrella Damm, Shipyard American Pale Ale and Bavaria’s Erdinger Weissbier, as well as packaged beers and guest beers – it’s a beer lover’s dream. On the adjoining Roscoe Street, you’ve got the compact and traditional pub, The Grapes. 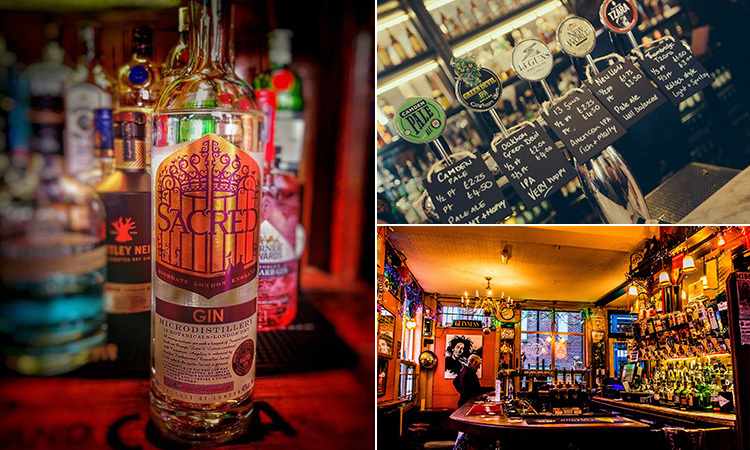 Drawing masses of visitors and tourists alike into its intimate lair, it’s a beer and real ale-filled hideaway, which hosts weekly live jazz music and has nine real ale hand pumps including Old Speckled Hen, Deuchars IPA, Jennings Cumberland and Marstons Pedigree. But, it’s not just beer they specialise in – there’s over 35 rums to try out too, including black, dark, golden, white, spiced and flavoured rums. We recommend Cuba Libre or Dark ‘n’ Stormy – and challenge you to remember the next few hours. The small street with a big personality, Mathew Street is home to the world-renowned Cavern Club - where The Beatles were famously showcased in their early career. The secret den like, brick vaulted cellar houses 1960s memorabilia as far as the eye can see, and has live tribute acts day and night. 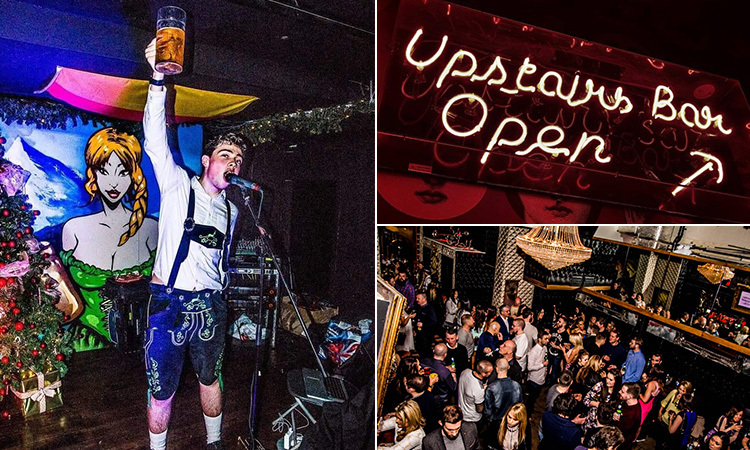 Another gem on Mathew Street is Kaiserkeller; a little slice of Bavaria, in the heart of Liverpool. Offering a carefully selected range of beers from the finest regions of Germany and served in steins, obviously – the Bavarian beers served here are some of the best in the city. The entertainment is also second to none, with the Kaiser Girls needing no encouragement to leap up onto the tables, dancing and singing, as the comedy Kaiser band play their twisted versions of well-known chart toppers. You can even get yourself a juicy Bratwurst hot dog with your stein. Beats a dirty kebab at 5am, right? If you’re after more of a classy place to host your celebrations, Stanley Street’s Bar Signature is where it’s at. Attracting a high-end crowd, you might want to ditch your fancy dress and nickname embellished T-shirts to guarantee entry – no one wants to know how ‘Dyson Dave’ or ‘Round the Back Jack’ came to being. 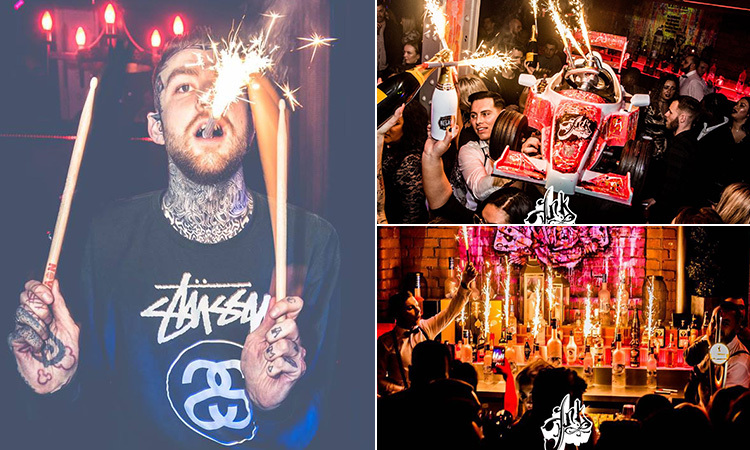 As far as massive club nights go, Bar Signature has The Truth Thursdays, Fresh N Funky Fridays, Saturday’s Anthem and Sunday’s Vibe among the most popular. Seel Street also has a resident poltergeist, Heebie Jeebies. Responsible for public disturbances and all manner of debauchery, this rambunctious, split-level, late night bar-come-club should be high up on your hit list. With a cult-like status, yet universal appeal, this place is generally somewhere you’ll stumble upon and won’t want to leave. Dedicated to jazz, Heebies have been serving potent concoctions and hazy memories with a side of soft jazz for almost a decade – and are ready and braced to host your stag do. There are so many reasons Liverpool is a stag do favourite. Want to find out why? 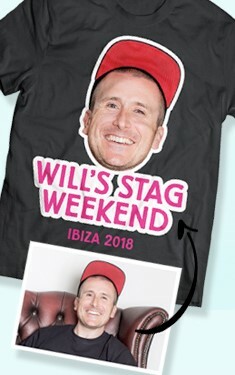 Check out our Liverpool stag weekends page, for more info on our central accommodation, hundreds of activities (including football tickets and the DTV Shredder Safari) and heaps of bespoke packages. In a bit, la.